Call us for a quick professional printer repair! Are you a business owner looking for a reliable office furniture company in the Charleston, SC area? Are you in need of printer repair or copier sales? Charleston Imaging has all your office interiors needs, including quality office equipment and smart boards. For an office furniture company you can trust, choose the experts at Charleston Imaging! Charleston Imaging Products is your source for office equipment in Charleston, SC. We provide the best technology solutions, from smart boards to copier sales, while retaining the neighborly attitude and personalized service that has made us the local industry leader. We are also an office furniture company who can custom design your office interiors. Call today for printer repair! If you and your business are trying to heighten efficiency, you'll need the right tools at the right prices. We can evaluate your needs and give you a detailed breakdown of how to improve the workings of your office. We are the go-to information management companies serving the Charleston Metropolitan Area and beyond. Whether you are an up-and-coming start-up or a well-known corporation, you need an office furniture company you can trust to fill your office with quality products. We not only have the furniture that will leave your office interiors looking elegant, but will give your company a charm that’ll leave a positive environment for your employees. Give Charleston Imaging Products a call today to learn why we are the office furniture company to call. We provide the finest in office equipment and more to the Charleston, SC area. Your Source for Copier Sales & Printer Repair! Call for printer repair or smart boards! Sometimes, your business can only move as fast as your technology can. Make sure that you have the tools to succeed in today's fast-paced business environment with Charleston Imaging Products. We offer top-of-the-line copier sales that are sure to fit your needs, as well as your budget. Our printer repair service is fast, efficient and comprehensive. And we have the smart boards you need to catapult your office into the 21st century. We offer top-brand copier sales and other equipment for your business needs. We carry a wide inventory of office equipment. In addition to office equipment, we can also assist you with quality printer repairs. Whether you are looking for copiers for your new business or plan to replace all your old equipment, we have got you covered. We serve customers in Charleston, SC and the surrounding areas. For superior copier sales, visit our store today! Investing in office equipment means investing in your business. When you work with Charleston Imaging Products, you get more than just printers, copiers and office furniture. You get the office solutions you need to run your business at maximum efficiency. But just because we have the office solutions you need doesn't mean you have to pay an arm and a leg to get them. It couldn't be more affordable to get the office equipment you need. Nowhere else in Charleston, SC works harder to get you the technology and furniture you need to keep everything going smoothly. Our printer repair is the best in the area! We know that even the best, most advanced office equipment can break down. That goes double, if not triple, for your printer. This is why our office furniture company is more than just a supplier - we provide fast, responsive printer repair. Having experience working on the top brands and a wide variety of different issues, we are more than just repair and sales: we're your total office technology solution. We have all dealt with lackluster technology in the past. Because a wide variety of things could go wrong with any type of office equipment, technology can get you down. Don't let it! Let Charleston Imaging Products provide you with the resources and printer repair services to keep your business up and thriving. We are an office furniture company specializing in office interiors! Let Charleston Imaging Products handle all of your office equipment needs. We're more than just your source for technology: we're your source for luxury, ergonomics and professionalism as well. As an office furniture company, we can provide you with the highest quality furnishings for your entire office. Quality furniture does not just make your work day more comfortable: it can improve your entire business experience. Our office interiors communicate elegance and professionalism. 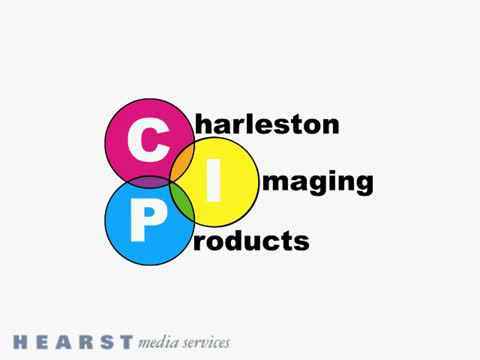 If you're a new, startup business, then you need to call Charleston Imaging Products today. Our office interiors team can advise you on the best way to design and furnish your space so that you can signal to potential clients and customers that you mean business. When you want to make sure that you are taken seriously as a business, call our office equipment company. Our Office Equipment Makes Your Workday That Much Better! Wouldn't it make your work day that much more positive if you went to work in a beautiful, comfortable office filled with everything you need to stay on task and get the job done? When you trust us with your office interiors, you're sure to get more than you bargained for. You don't just get new office equipment and furnishings. You get a rejuvenated workplace sure to make your whole operation run more smoothly. Call Us Today for All Your Office Interiors Needs! Ergonomics, functionality and affordability all in one. Charleston Imaging offers the most technologically advanced ergonomic chairs and conference room furniture in the Charleston, SC area. Our customer focused attention to detail accounts for our growth and the 5,000 clients that look to us for their copier sales, printer repair, and office equipment needs. For the most reliable office furniture company in Charleston, SC, give Charleston Imaging a call today! Trust Charleston Imaging Products to make your office functional, efficient and stylish. We've got all the technology you need to get the job done, from reliable copiers and printers to cutting edge smart boards and more. And nobody does office interiors like we do. Our office furniture company can help you to create the professional environment you've always dreamed of for your business. If you've been looking for the office equipment you need at prices you can afford, call Charleston Imaging Products today!